Across Kerala, 2,825 people have been arrested after Chief Minister Pinarayi Vijayan ordered a crackdown on those defying the Supreme Court order. Kerala government is misusing the Sabarimala issue to target BJP, RSS workers, Amit Shah said. With over 2,800 arrested in Kerala in a crackdown on protesters who prevented women from entering the Sabarimala temple, BJP chief Amit Shah on Saturday said the Left government in the state was misusing the issue to target BJP and RSS workers. Saying that the party was standing "like a rock" behind them, Mr Shah said the communist government in the state would be brought down by BJP workers. 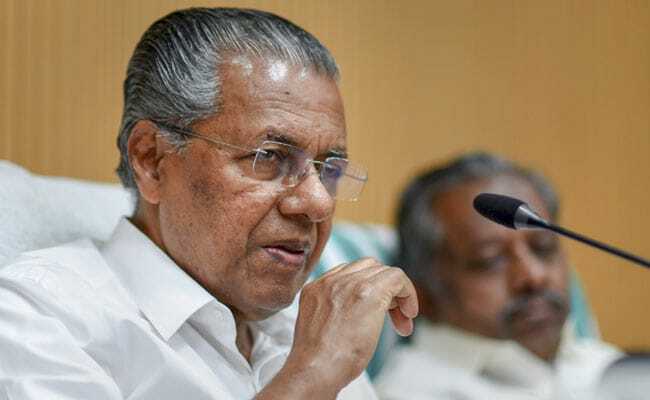 The comments were slammed by Kerala Chief Minister Pinarayi Vijayan, who said it revealed the party's agenda on the Sabarimala standoff. "Today in Kerala a struggle is going on between religious beliefs and state government's cruelty. The Left government in Kerala has misused the Sabarimala issue. They have used it to arrest workers and supporters of the BJP and other political parties," he said while addressing a rally at Kannur in Kerala after inaugurating a party office in the city. "I warn Kerala's communist chief minister, don't oppress devotees in the name of implementing the Supreme Court judgment," he said, terming the protests as "aastha ke liye sangharsh (struggle to save tradition)". He also alleged that the crackdown by the police is part of "a communist plot against temples". "We want to assure the people of Kerala that the BJP will stand like a rock in support of your sentiment. We will always be there for the people of Kerala and the devotees of Lord Ayyappa," he said. Kerala Chief Minister Pinarayi Vijayan responded to Mr Shah's comments, saying that they go against the constitution. "Amit Shah's statements in Kannur are against the constitution and the law of the land. It's a clear intention of their agenda of not to guarantee the fundamental rights. This shows the agenda of the RSS and Sangh Parivar," he said. Responding to Mr Shah's statement that BJP workers will "bring down the Kerala government" if it "continues to oppress Ayyappa devotees", Mr Vijayan said, "Amit Shah who threatened to topple our government should remember that this government came to power, not at the mercy of BJP, but the people's mandate. His message is to sabotage the people's mandate". Kerala had witnessed massive protests from devotees at various places, including Sabarimala, Nilakkal and Pamba, against permitting women of all ages to enter the shrine, where the deity is 'Naishtika Brahmachari' (perennial celibate), when the temple was opened for monthly poojas from October 17-22. At least 12 women in the 'barred' age group of 10 to 50 had tried to trek the hills to offer prayers but had to retreat following widespread protests. Across the state, 2,825 people have been arrested after the chief minister on Thursday chaired a high-level meeting with police officials and ordered a crackdown on those defying the Supreme Court order on the entry of women in the Sabarimala temple. A total of 495 cases have been registered. "Most of the people arrested are Hindutva activists, affiliated to various organisations, including BJP and RSS," a top police source told NDTV. "Arrests and lookout notices are based on video evidence that the police had recorded during the violence. Even the mobile location of suspects based on the Nilakkal and Pamba mobile towers have been tracked as evidence," the source said.